He made his List A debut for Punjab in the 2016–17 Vijay Hazare Trophy on 25 February 2017.He made his first-class debut for Punjab in the 2017–18 Ranji Trophy on 6 October 2017. In December 2017, he was named in India's squad for the 2018 Under-19 Cricket World Cup. 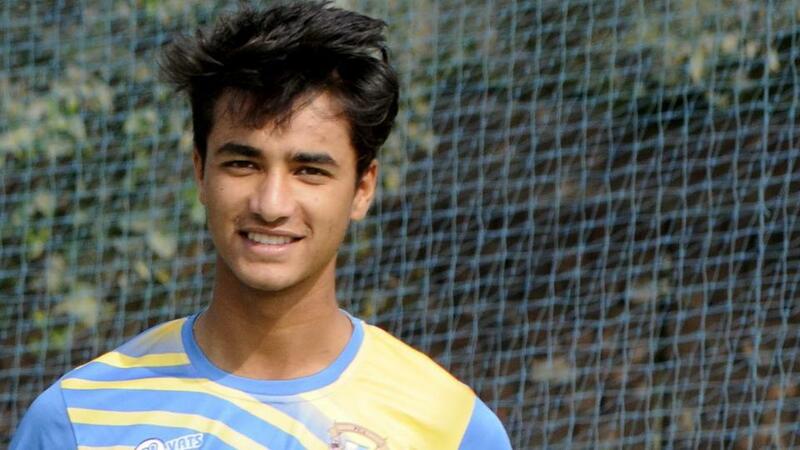 Abhishek Sharma, a 17 year old boy from Amritsar is the captain of the India U-19 cricket team which took part in the Youth Asia Cup played in Sri Lanka. Abhishek has a streak of the mischievous about him, like any regular 17-year-old kid. “Bachpan mein ek shauk thaa (It was a desire during my childhood),” says Abhishek towards his love for cricket. He first burst into public consciousness last season when he led Punjab from the front in their successful defense of the Under-16 Vijay Merchant Trophy. He had also played crucial roles in Punjab finishing runners-up in 2013-14 and lifting the title in 2014-15. Now India’s U-19 Asia Cup winning captain Abhishek Sharma is living a dream. 1. When did you first start playing Cricket in your life? It seems like ages! Well, to be accurate I started playing cricket when I was of the age 7 and I think after that separating Cricket from me was impossible. Cricket was the only motto of my life and I wanted to make my name through manifesting all my hard work in the game. 2. Who has been your inspiration and the biggest support in your journey? Everybody that comes and goes in the course of life plays some or the other role but only a few remain with you from the beginning to the last. My support and inspiration both are my family and my father. They have supported me everytime. It is because of them that I stand where I am today. 3. How do your parents and the school feel about your success? My parents are undoubtedly on the ninth cloud these days and my school has always supported me in everything be it studies or moral support. Also, as the game is giving me more opportunities the responsibilities and the expectations to uphold are increasing on me. It is because of such a huge support that I never feel pressurized as they all make me happy. 4. How was your experience in the field of cricket as a Captain of the Under 19 team? Captaincy is a dream in itself but with the dream comes to a very large responsibility of upholding the pride of the nation through the performance of the team. It was a great opportunity for me, with the grace of god and the hard work of the team we even won the title. 5. What are future plans for your career in Cricket? Yes! Of course, it is always going to be cricket in which I want to excel but when it comes to making large term goals I am not quite fond of that. I look up to next day only and don’t go on making goals for the future. For the time being, I am looking for the game of Ranji Trophy that is going to take place in the coming week. 6. According to you what is the best moment which you will encapture for your entire life from the game? The best moment is every time we won under my captaincy. The responsibility of being a captain is huge. Sometimes the entire game depends on the decision you take and everytime it worked in my favor and in return the team also gave me a lot of relief and pleasure during my tenure.